A £180,000 libel damages award to former Conservative Party co-treasurer Peter Cruddas has been reduced to £50,000 by the Court of Appeal. The 61-year-old businessman brought the claim against Times Newspapers and two members of the Sunday Times's Insight Team, Jonathan Calvert and Heidi Blake, over three articles which appeared in March 2012. Today, three judges allowed the group's appeal on the claims for libel and malicious falsehood in relation to the allegation that, in return for cash donations to the Conservative Party, Cruddas corruptly offered for sale the opportunity to influence Government policy and gain unfair advantage through secret meetings with David Cameron and other senior ministers. They dismissed its appeal in relation to the allegation that Cruddas made the offer, even though he knew that the money offered for such secret meetings was to come, in breach of the ban under UK electoral law, from Middle Eastern investors in a Liechtenstein fund. The newspaper also failed in its appeal over the allegation that, to circumvent and thereby evade the law, Cruddas was happy that the foreign donors should use deceptive devices, such as creating an artificial UK company to donate the money or using UK employees as conduits, so that the true source of the donation would be concealed. 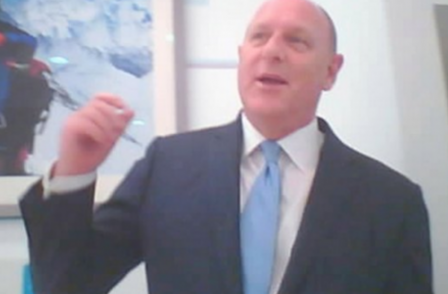 The newspaper said in statement: “The Sunday Times and two of its journalists, Jonathan Calvert and Heidi Blake, are today completely vindicated for reporting that Peter Cruddas corruptly offered access to David Cameron and other leading members of the Government in exchange for donations to the Conservative party. As party treasurer, he told the undercover reporters that if they made substantial donations to the party they would have an opportunity to influence Government policy and to gain unfair commercial advantage through confidential meetings. The Court of Appeal has found that proposing this was unacceptable, inappropriate and wrong. Cruddas said in a statement: "Naturally I am disappointed that the Court of Appeal has allowed part of the Sunday Times’ appeal, but it is some consolation that I remain the overall winner of my action. The court has said that the newspaper failed 'by a wide margin' to justify their suggestion that I was prepared to break UK electoral law by accepting foreign donations. What is more, they have confirmed that based on the judge’s assessment of the oral evidence which he heard from the Sunday Times journalists, there is no basis for overturning his decision that they were malicious and knew that suggestion to be untrue. Cruddas 'unacceptable' and 'wrong' to sell access to David Cameron - So why must Sunday Times still pay him £50k?